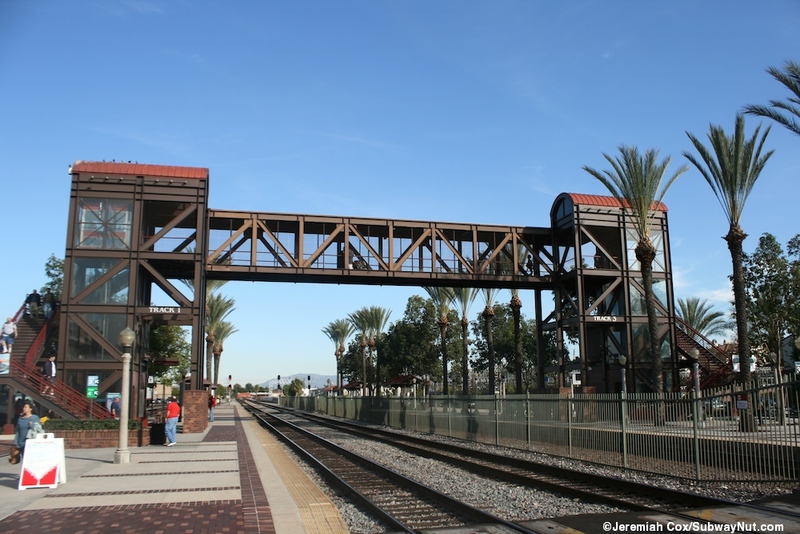 Fullerton has received train service continuously since the railroad arrived in 1889. 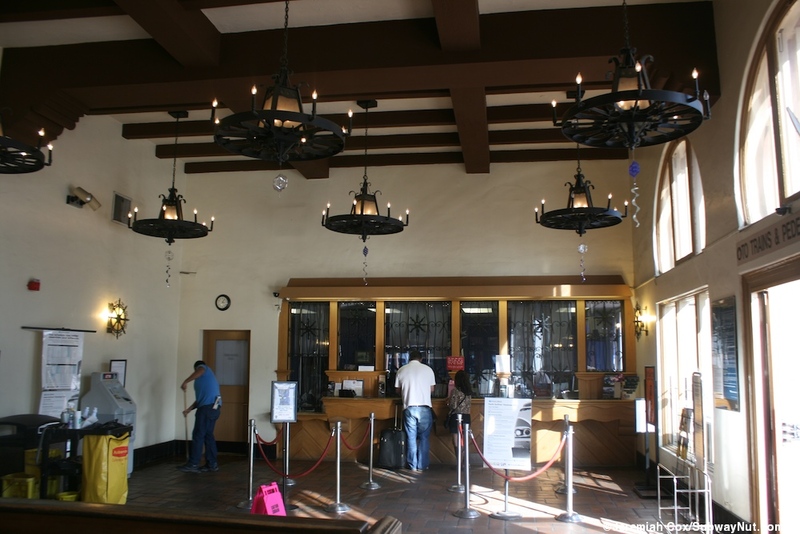 At the beginning of the Amtrak-era service was from just three daily trains, two San Deigans and extended Coast Starlight/Daylight extended. 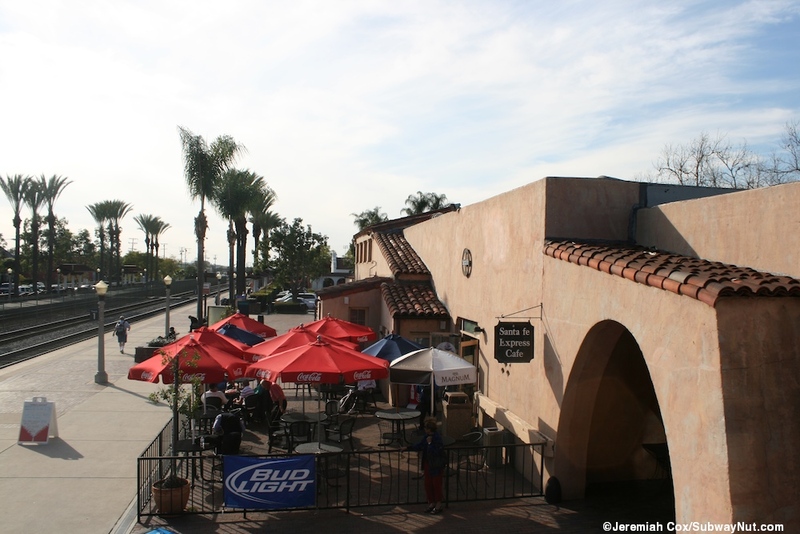 Today corridor Amtrak service is from 11 daily surfliners (only 10 northbound on weekdays when the SD to LA morning express train bypasses the station). Chicago-bound long-distance train service started stopping at the station with the Desert Wind (via Los Vegas, Salt Lake City, and Denver) on April 27, 1986 (Kim Murphy, Fullerton: 'Amtrak's Desert Wind to Stop in Fullerton', L.A. Times (Orange County Edition), April 25, 1986 Link) as it was rerouted from the line via Pasadena, it was joined by the Southwest Chief (via Albuquerque and Kansas City) on January 15, 1994 (Bob Pool, "Final Boarding Call Nostalgia: Hundreds turn out early to watch the last train pull out of Pasadena's picturesque station. 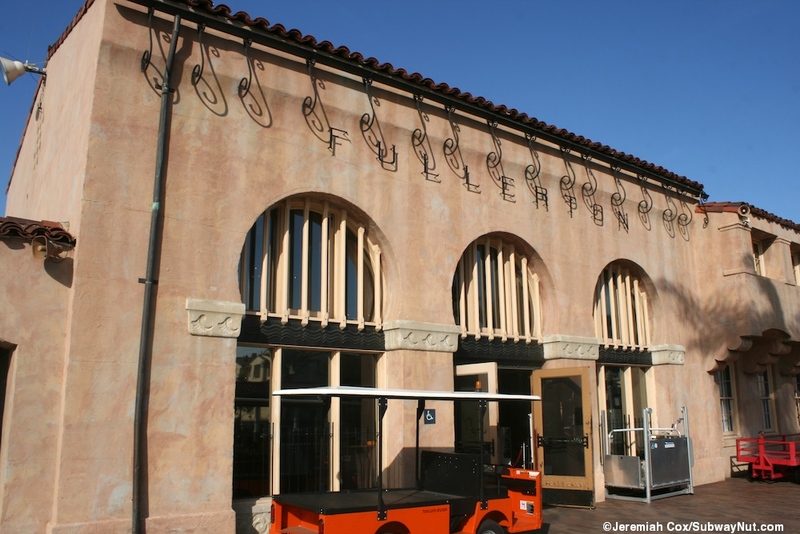 The depot is being closed and the tracks converted for commuter service," L.A. Times January 15, 1994, Link), when the train line via Pasadena was closed for good and rebuilt into the Metro Gold Line. 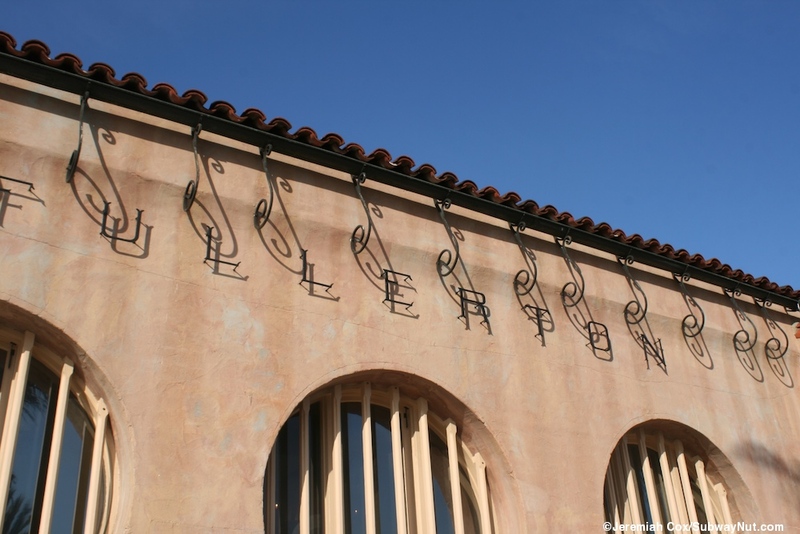 The Desert Wind was discontinued on May 10, 1997, Leaving the daily Southwest Chief as the only train today stopping to discharge passengers only L.A.-bound and receive them Chicago-bound. Amtrak provides ticketing and baggage service for most departures. Commuter rail service began stopping at the station with the Amtrak operated, OCTA sponsored, the Orange County Commuter daily round-trip from San Juan Capistrano to L.A.-Union Station on April 2, 1990 (Eric Bailey, "Orange County-L.A. Commuter Train Set Transportation: Morning service is scheduled to begin April 2 with punctual, earlier trains and cheaper fares than Amtrak. 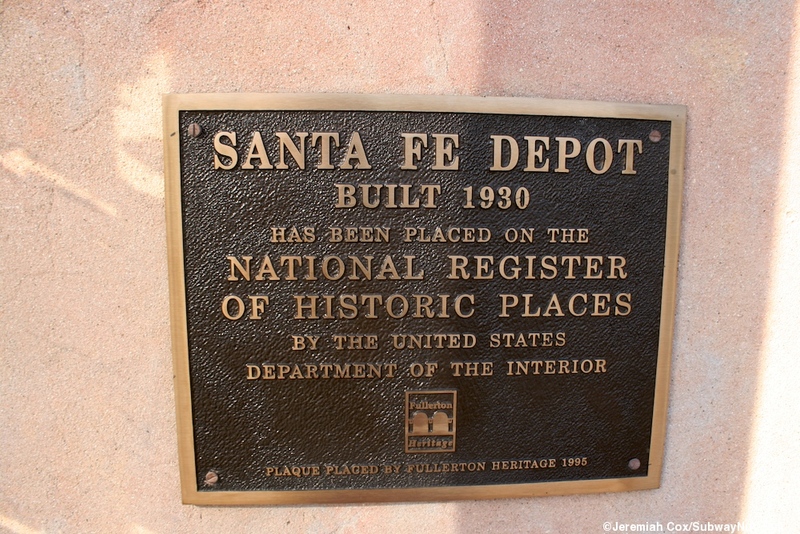 The Santa Fe Railway must approve the plan." L.A. Times, March 13, 1990, Link). Metrolink took over operations in December 1993 two more round-trips were added in March 1994 (Lynn Franey, "Metrolink Debuts in Orange County with 2,000 Riders," Link) and commuter train frequency has slowly increased (and decreased, especially weekend service) to the ten weekdays and two on weekends today between southern Orange County and Oceanside and Los Angeles Direct service via the now named 91 Line (originally just the Riverside, Fullerton and Los Angeles line) to Riverside began sometime between 1995 and 1998 and today there are 5 daily round-trips. 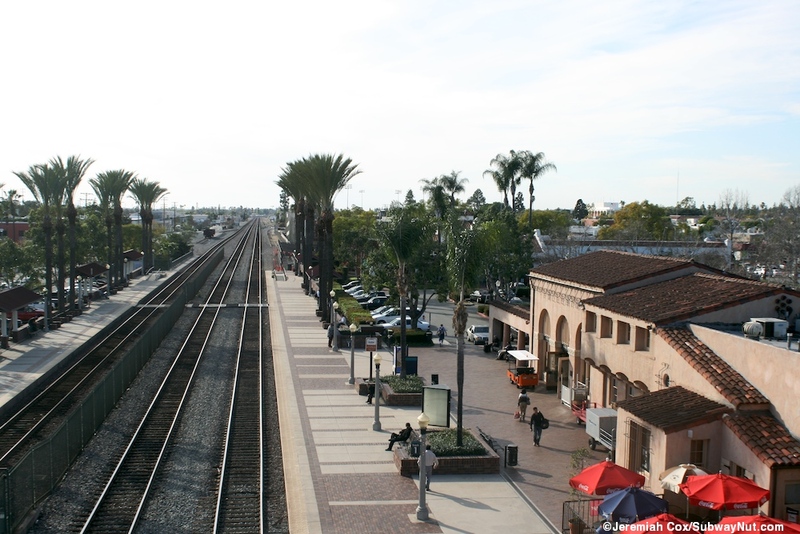 The station is also the northern terminus of the OCTA sponsored 3 weekday evening round-trips to Laguna Niguel/Mission Viejo (one extended to Oceanside), these all terminate on the siding track 4 and are the remnants from the track improvements for an originally envisioned half-hourly all-day service within the core of Orange County (after it decided against light rail). 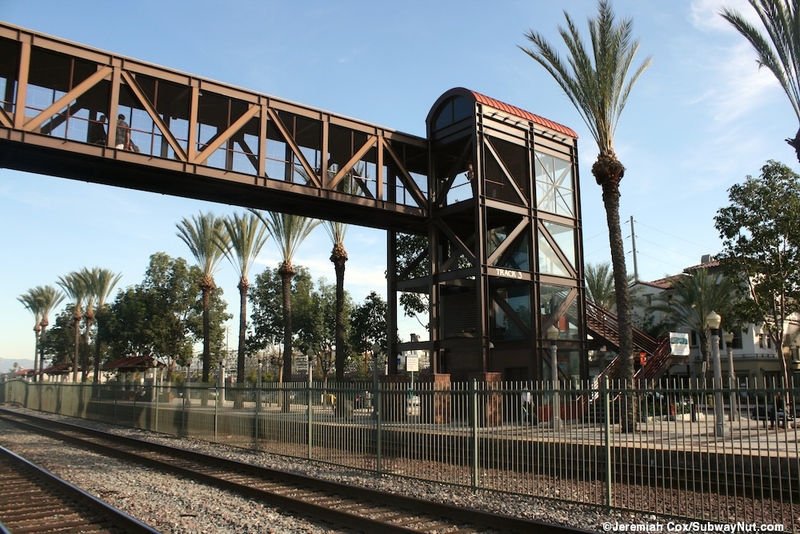 The station itself is at the Fullerton Transportation Center and has three through-tracks with basically side platforms. A fence (with two electronically gated openings for grade crossings) runs between tracks 2 and 3 to prevent unauthorized crossings. The northern half of track 3 becomes an island platform for the siding track 4 when it begins at a bumper block and runs east. The platform for track 3 continues a bit beyond the end of track 4 platforming. Trains on track 4 can only access the southbound Orange County Line because of the design of the interlocking just east of the station where the 91 Line diverges to Riverside with two tracks (on the BNSF Southern Transcon). The side platform portion of the platform for tracks 3 and 4 bound to Oceanside/Riverside is simple and along Walnut Avenue with a few parking spaces. 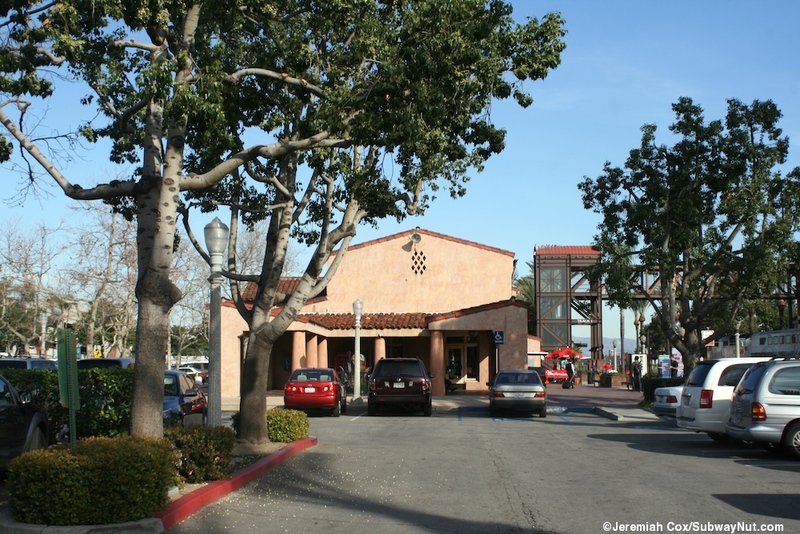 There are eight small canopied areas in the style of the historic depots with dark roofs and white columns holding them up for waiting. A modern pedestrian bridge with mesh walls and elevator and staircase access connecting to the middle of the platforms. 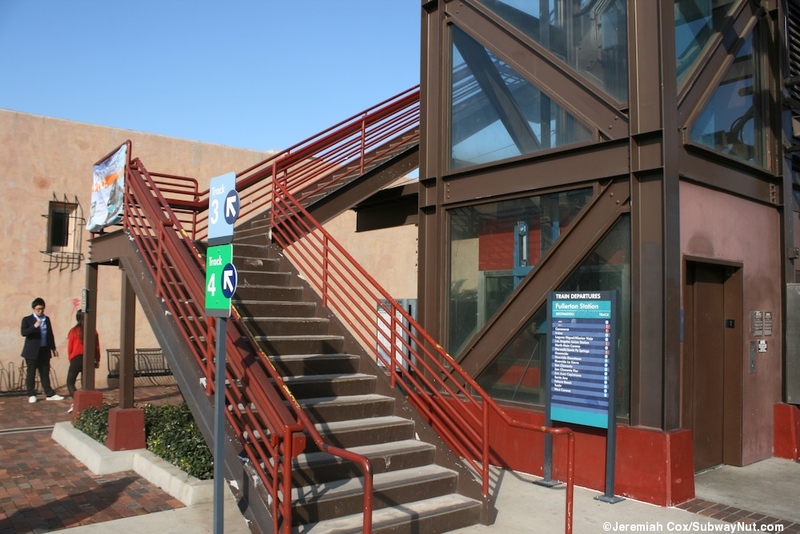 This leads to the main Los Angeles-bound platform and track 1. 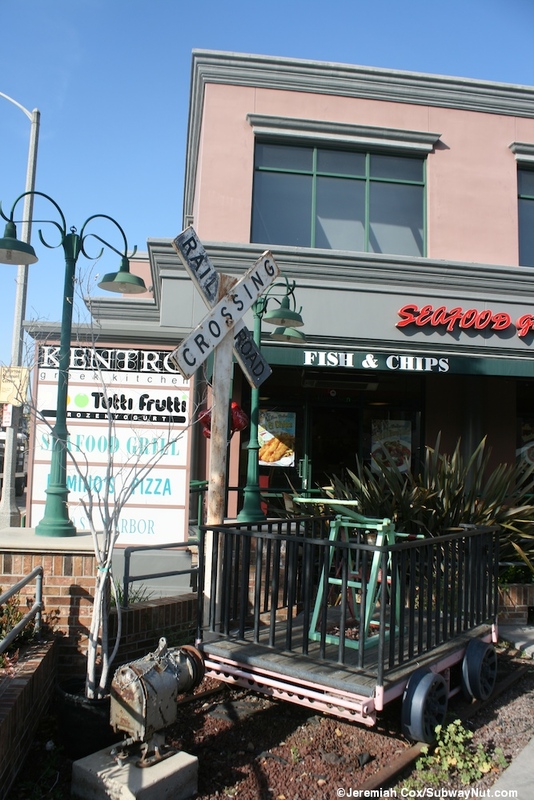 Along this platform for track 1 are not one but two historic depots; the first one is at the western end of the platform, just before South Harbor Blvd and runs from there to Santa Fe Avenue. 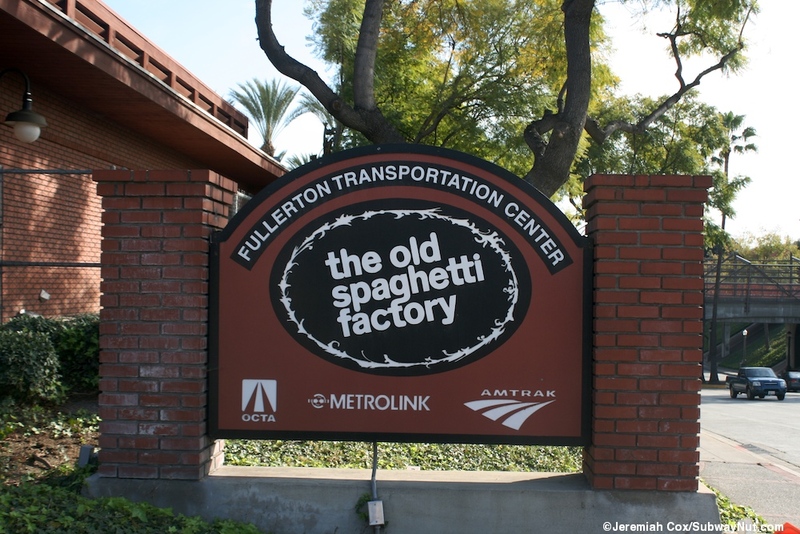 This is the historic Union Pacific Depot built in 1923 now housing a franchise of the Old Spaghetti Factory. 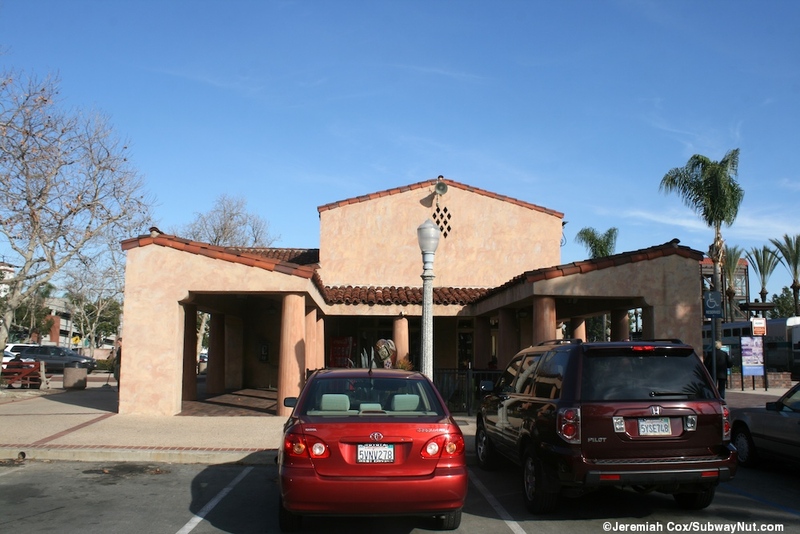 The mission style depot was moved to its present location in 1980 for preservation. 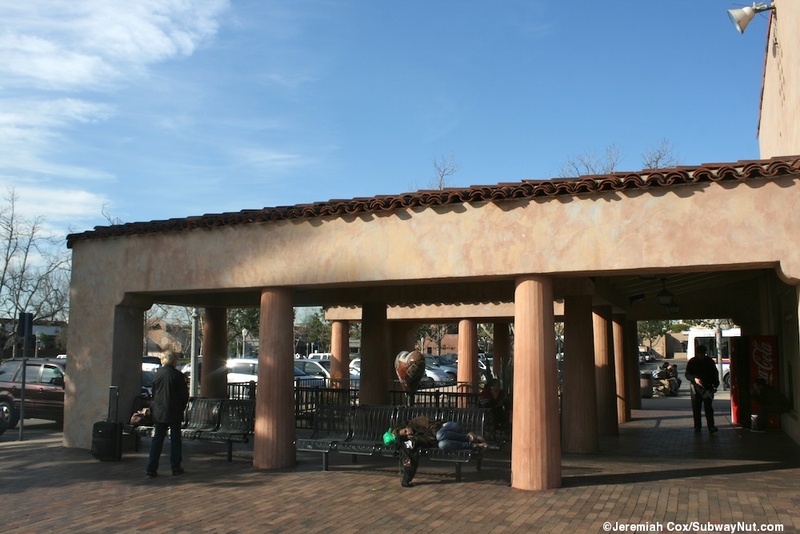 The middle of the platform has the still used Santa Fe Depot built in 1930. 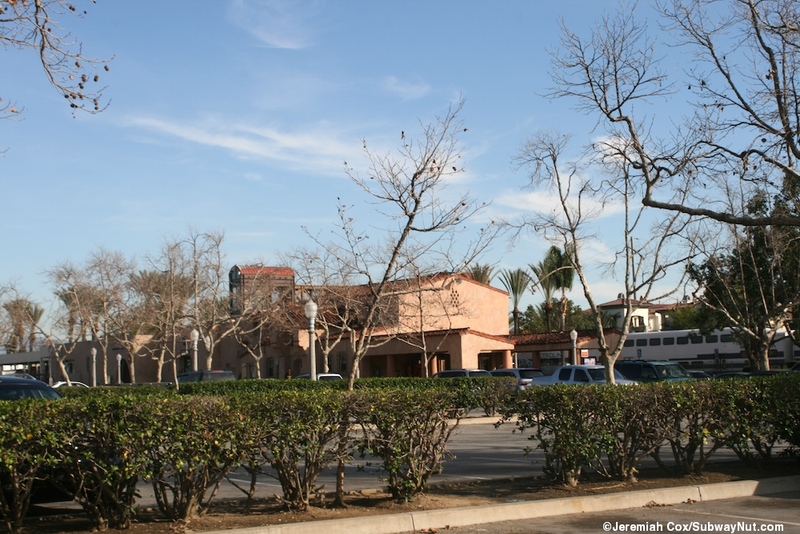 It is a Spanish Colonial pink colored building slightly set back with a small plaza between it and the platform. 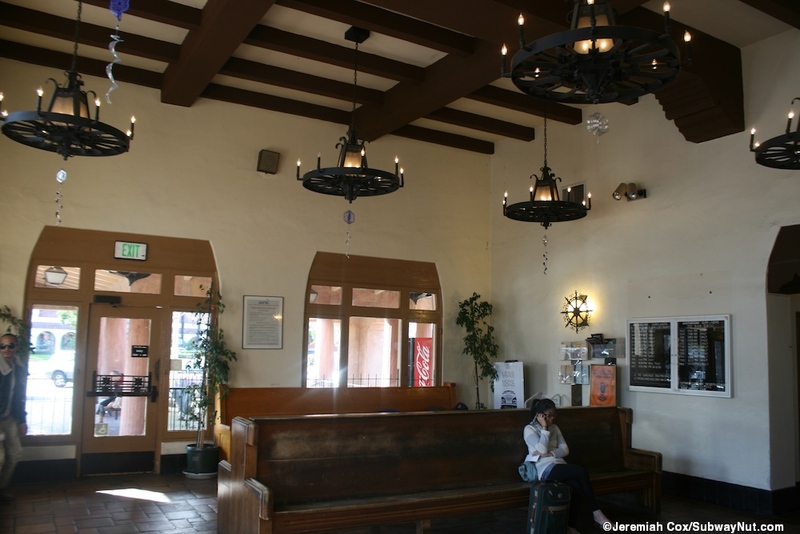 Inside is a wooden roofed waiting room with small lighted chandeliers. There is a wood paneled Amtrak ticket window and the station offers checked baggage service (I don't know how this service accesses track 1, but I assume one of the two now gated off level crossings is open for the baggage cart). There are some wooden benches for waiting. 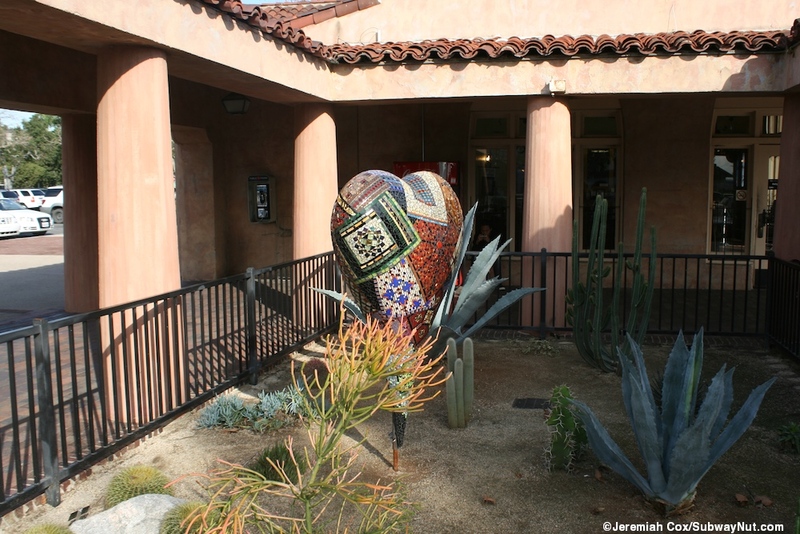 Next inside the depot is the Santa Fe Express Cafe. At the eastern end of the depot is the former high-level freight platform and there are two siding tracks remaining between it and the platform for track 1. 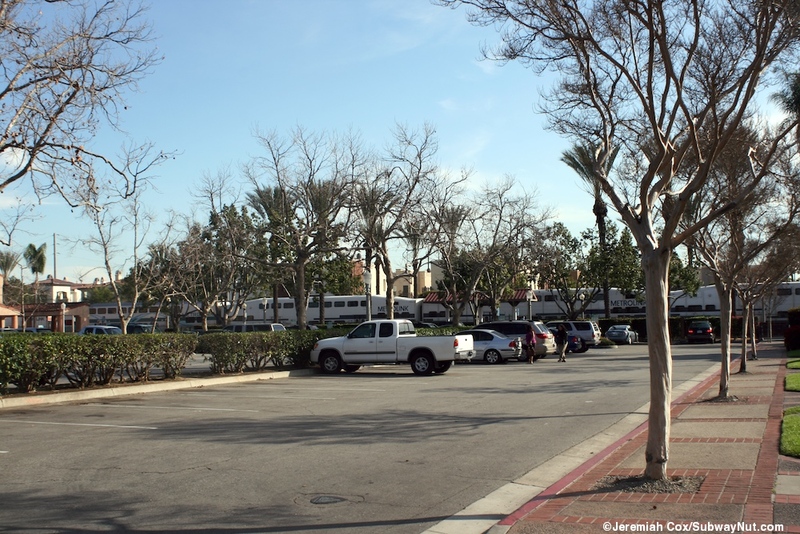 These are fenced off and house three historic cabooses, owned by the Southern California Railway Plaza Association whose goal is to create a railway museum for Fullerton. http://www.scrpa.net/ and hosts Fullerton Railway Days every year. 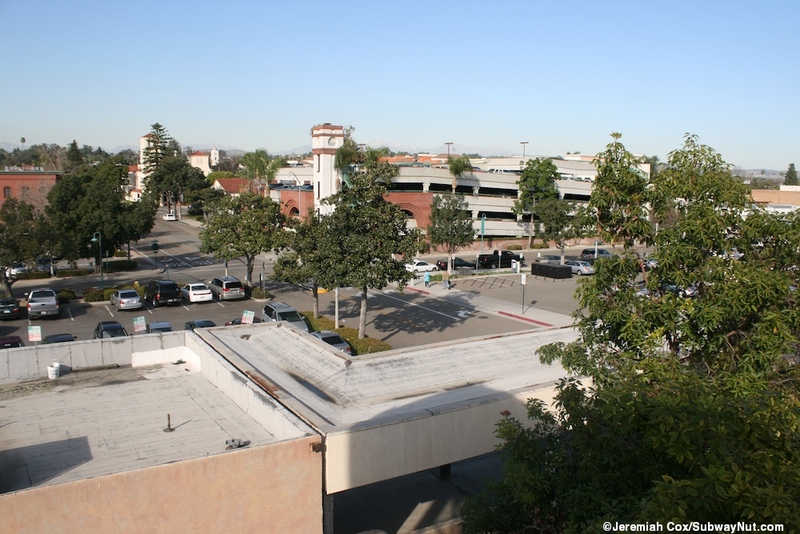 Streetside of the depot is a bus loop for OCTA and 510 parking spaces with a parking structure under construction scattered mostly north of the depot with downtown Fullerton just a short walk away. This platform for track 1 also has 4 canopy structures along it with benches for waiting passengers. 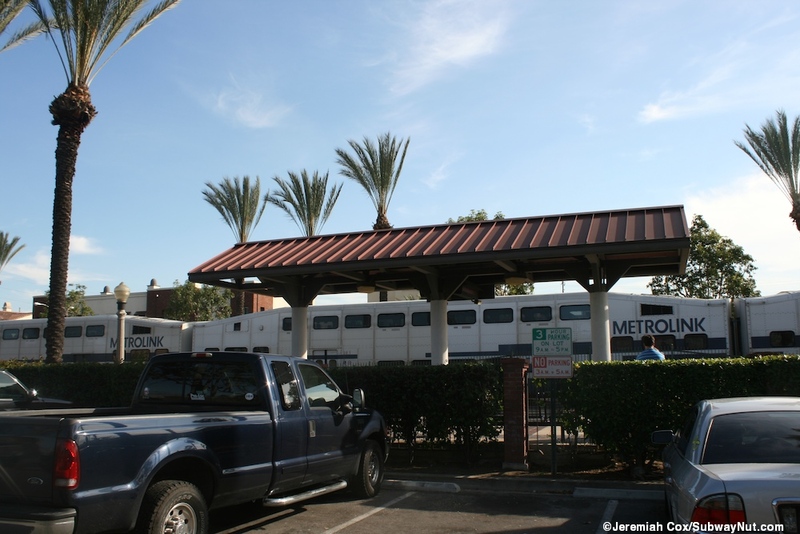 The station platform's has a lack of signage, I only used the Metrolink standard sign (although I don't think there are any actually on the platform) because the only photo I got that resembles anything like a sign is the decorative iron Fullerton lettering on top of the depot.